Thick, round, black sunglasses dominate the giant, stoical face of Karl Lagerfeld that’s crowding the enormous screen on the back wall of the Art Shoppe Lofts + Condos sales centre. Just a few days prior this spacious, all-white room, decorated with transparent chairs, plush leather couches and vivid modern art, was rammed with 1,200 rowdy partygoers who came out in droves for the development’s official launch, and to snap a few selfies with Lagerfeld. President of Freed Development’s Peter Freed explains he’s never seen such a crowd for the launch of one of his buildings. “This one far exceeded anything we had done before,” he says of the massive, headline-grabbing party. But who could blame the city for their excitement? 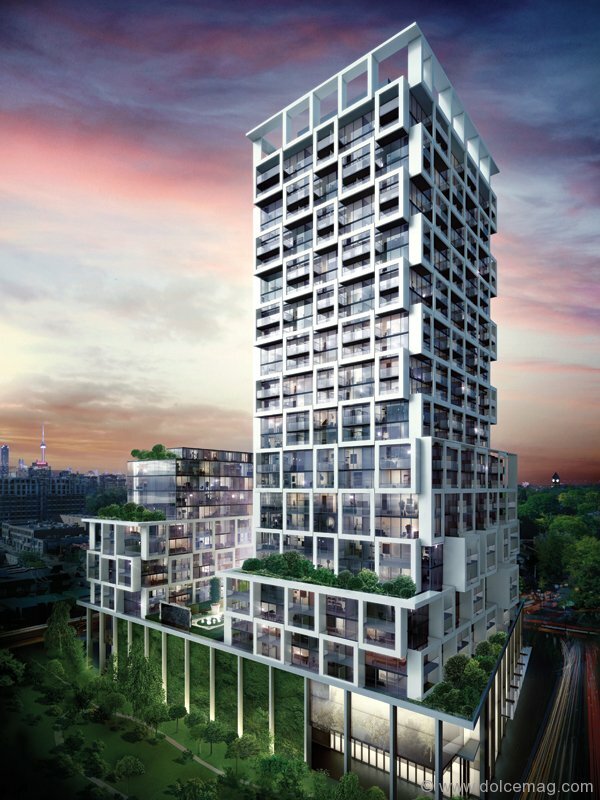 Lagerfeld is designing the two lobbies for the Art Shoppe, the latest project to emerge from the partnership between Freed Developments and CD Capital Developments, marking the first time the silver-haired legend of fashion has ever set foot in Canada. Freed is known for the multiple buildings he’s erected in the King West area; he’s even routinely referred to as the king of King West. 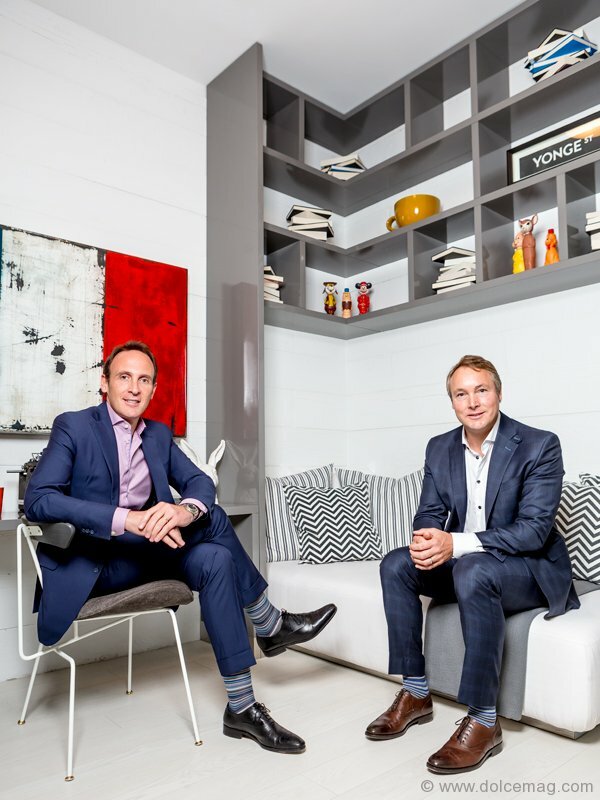 But two years ago he partnered with Todd Cowan and Jordan Dermer of CD Capital and moved northeast to the Yonge Street and Eglinton Avenue area for 155 Redpath Condos. On the success of that venture, they’re teaming up again for the Art Shoppe project — a building they’re hoping will be part of the area’s continued evolution. 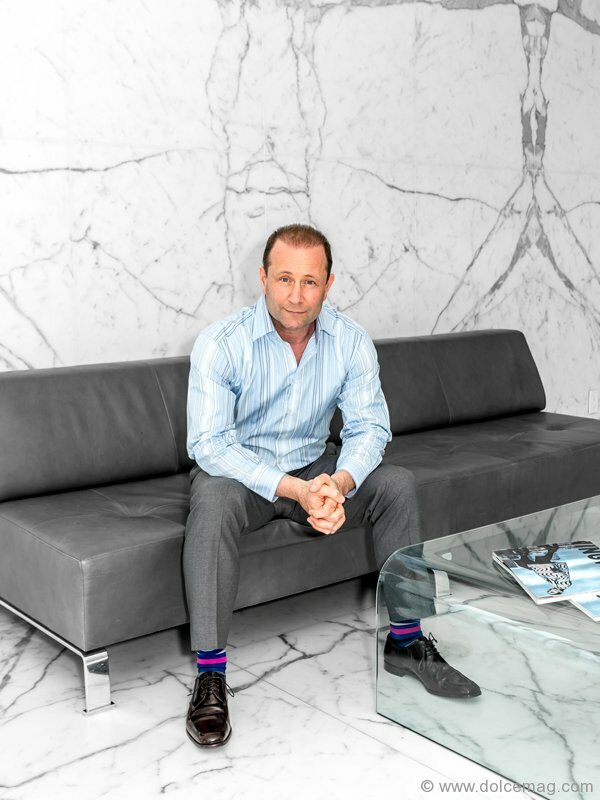 “This is going to be a major transit anchor where people can get to here and get everywhere else in the city in very efficient public transit,” says Jordan Dermer, managing partner of CD Capital, of the developing Yonge and Eglinton area. Dermer believes that with the forthcoming east-west LRT Crosstown line connecting with the Yonge-University-Spadina subway line, the already bustling neighbourhood will become one of the key hubs of the city. “We just wanted to make an exceptional home for people to live in within this node,” Dermer adds. The building itself is divided into two sections, a 12-storey south tower and a 28-storey north tower. Both will stand on a six-storey base of which the first two floors will house 80,000 square feet of combined retail space. While they can’t reveal full details this early in the game, Dermer notes that a major Canadian grocer has already expressed their intent to occupy the entirety of the second floor’s 50,000 sq. ft. Freed, Dermer and Cowan are proponents of buildings that facilitate a “live, work and play” lifestyle. 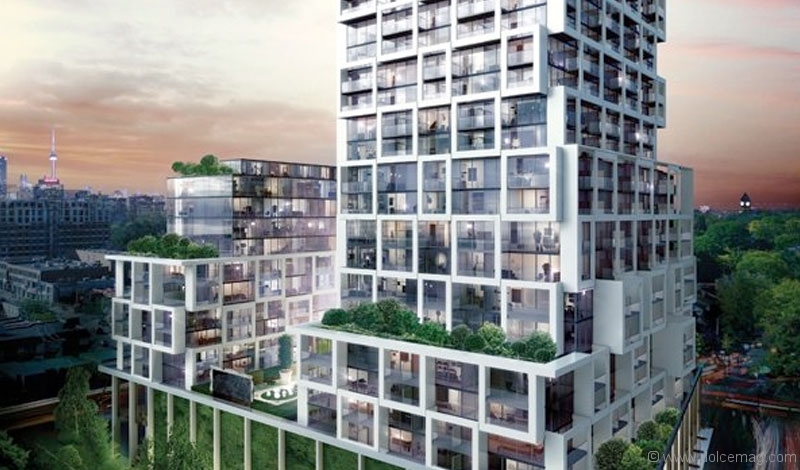 The site encompasses an entire city block, nearly two acres in size, affording the opportunity to deliver that way of life in a unique fashion. One of the building’s key features will be the shared rooftop area on the 12-storey south tower, which will include an infinity pool and hot tub, poolside cabana lounges and a BBQ and dining area. Peter Clewes of architectsAlliance designed the structure, and with its various stacks of protruding squares and rectangles it gives the impression of a modernist sculpture. The idea was to create a building that is clean and contemporary, a theme that flows inside to the roughly 650 units, which start at $200,000 and work up to $2 million, thanks to the designs of Cecconi Simone. Floor plans range from one-bedroom studios to two-bedroom-plus-den suites. Tower suites feature generous nine-foot ceilings, while loft-style units feature even higher ten-foot ceilings with stamped concrete walls that give that classic loft vibe. Each comes with various options and amenities, including built-in appliances, sunken kitchen sinks, high-grade materials and bathroom features specially designed for the project. Smoked- glass sliding doors between the den/second bedroom on certain units are also smart additions that, when opened, help provide a roomier feel. Freed feels a sense of responsibility to elevate the site to its full potential while being sensitive to the community at large; they even purchased additional property to the east of the building to include a north-south park that will buffer the project from the family homes in the area. first two levels are retail, each approximately 20 feet high.